Dr. Tim Weber is Global Head of 3D Metals for HP, responsible for leading HP’s metals 3D printing commercial business and technology. He is focused on driving the transformation of the $12 trillion global manufacturing industry and bringing mass production of metal parts to the industry for the first time. Prior to this role, Tim led the global development of materials and advanced applications for 3D printing at HP. Tim has been spearheading innovation at HP for more than 25 years. As one of HP’s early ink jet pioneers, Tim was part of the team responsible for product quality for the first thermal ink jet printers. He also managed the development of the scalable print solution that ultimately became HP’s innovative PageWide technology, which is now used everywhere from the desk top to the factory floor. 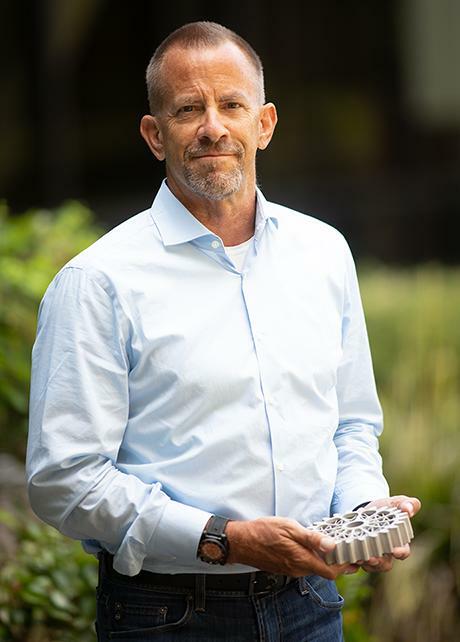 Tim’s career includes numerous R&D innovations such as printing technology platforms, MEMS-based technologies (such as HP's state-of-the-art accelerometer), applied molecular systems (nanotechnology), solar applications, printed electronics, and 3D thermoplastics and ceramics. He holds 52 U.S.-issued patents. Dr. Weber holds an undergraduate and a Ph.D. degree in engineering from Oregon State University. A native of Corvallis, Oregon, he is a member of the Oregon Nano and Micro Institute Board, the Corvallis Economic Advisory Board, and the Oregon State University College of Engineering Board.